Sepsis is a life-threatening medical condition that is associated with an infection causing whole body inflammation. Its symptoms include increased heart and breathing rates, fever, pneumonia, painful urination, kidney infection etc. the infection is usually caused by bacteria, fungi, viruses and other parasites. There may also be symptoms related to a specific infection, such as a cough with pneumonia, or painful urination with a kidney infection. In the very young, old, and people with a weakened immune system, there may be no symptoms of a specific infection and the body temperature may be low or normal rather than high. Common locations for the primary infection include: lungs, brain, urinary tract, skin, and abdominal organs. Risk factors for Sepsis include young or old age, a weakened immune system from conditions such as cancer or diabetes, and major trauma or burns. Other potential causes of similar signs and symptoms include: anaphylaxis, adrenal insufficiency, low blood volume, heart failure, and pulmonary embolism among others. 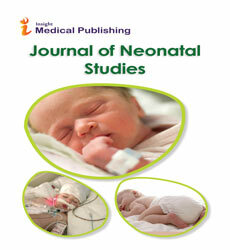 Journal of Pregnancy and Child Health, Reproductive System Sexual Disorders, Gynecology & Obstetrics,Neonatal Medicine.